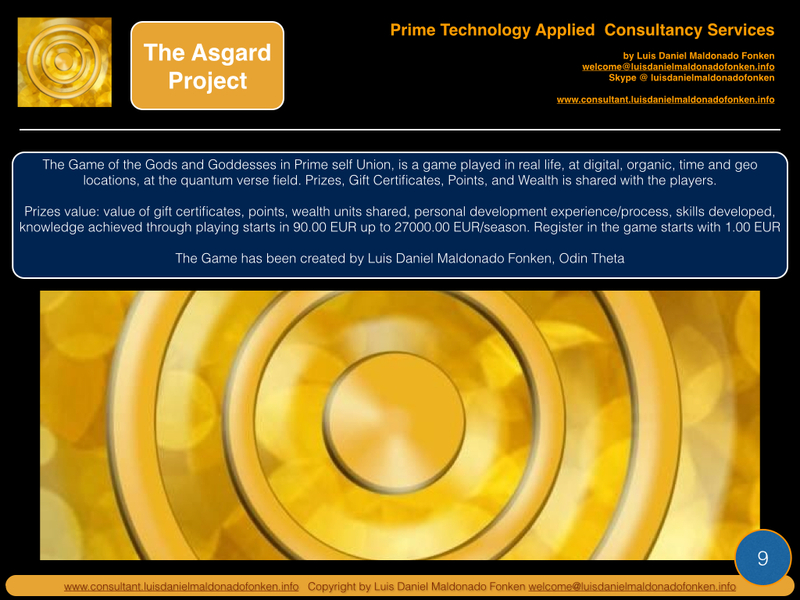 We have UPGRADED The Game of the Gods and the Goddesses in Prime Self Union. Visit our home page for the introduction to the upgraded game ! 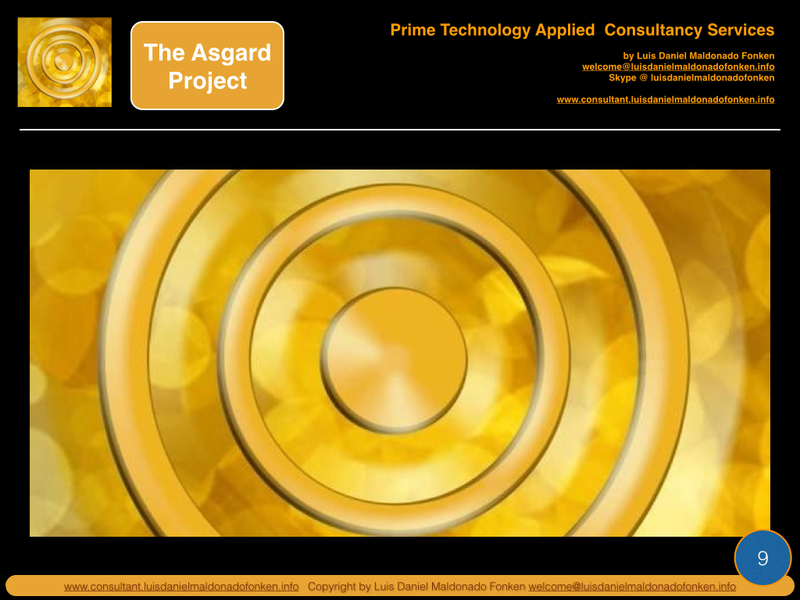 The main goal: is to discover the key secrets of the Prime Culture, and to find traces of the Primes in current times and history. 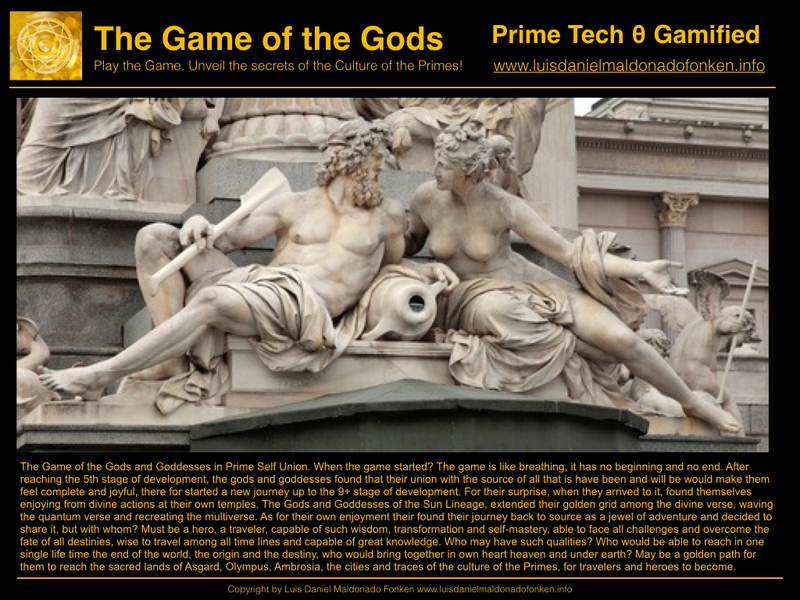 There are 9+ game levels. It is a game played on real world. 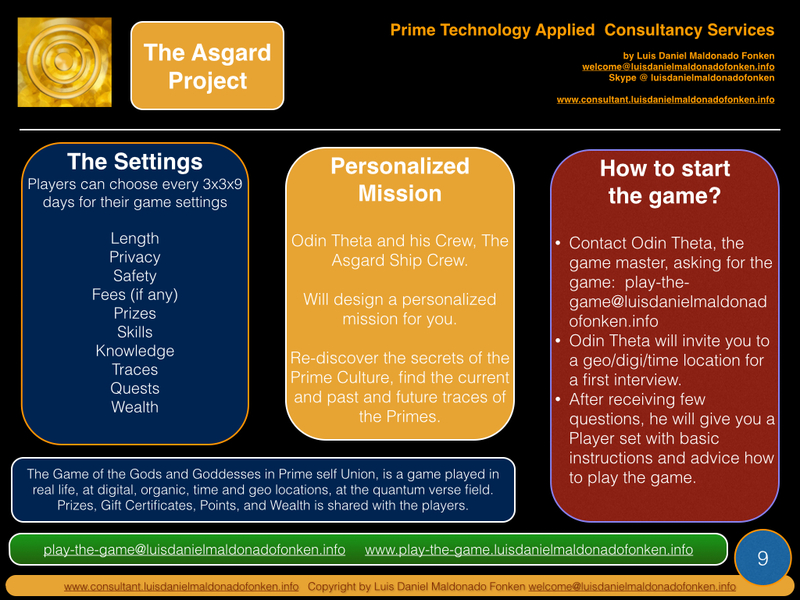 Personalized, the game master assign unique missions to each player. Real life is taking place now, is the field where all we need to learn and need to be triggered to learn takes place, we just need to be attentive and listen, notice the meaning of every instant for our paths.